Pictured is the outermost of Tutankhamun's three coffins that cocooned the young king for over 3,000 years. Nicholas Reeves believes that the right-side of the wall in the background is largely false, designed to foil tomb robbers and protect whatever lies beyond. Photo: Khaled Desouki. "... the preliminary results reached so far do not contradict with the results of the previous radar scans." I think Howard Carter would approve of the news from today's Press Conference on the latest scans of Tutankhamun's tomb. The main headline? The Minister of Antiques, Dr. Khaled El Anany, announced that the latest scans are encouraging, but more reconnaissance is needed. Overnight, radar experts spent around 10 hours peering into the walls of Tutankhamun's burial chamber. Previous thermal imaging and radar examination suggested a hollow area behind the room's north wall, indicating a passageway or chamber. British Egyptologist Nicholas Reeves believes that Tutankhamun's tiny tomb—which has puzzled scholars for generations—is simply the "outer elements of a larger tomb". Hiding behind a false wall in the burial chamber is, he proposes, the continuation of the original tomb's corridor, leading to the intact burial of Queen Nefertiti. Previous scans have supported Dr. Reeves' theory, with metal and organic material identified beyond the wall. The radar employed this time was the most sophisticated yet, allowing for a higher quality scan, at greater depth—up to four metres into the wall. While the data is yet to be fully analysed, the Ministry confirmed in a press release that "... anomalies were detected", and crucially, "...the preliminary results reached so far do not contradict with the results of the (Japanese) previous radar scans." Just to be sure, another scan is scheduled for the end of April. This time they plan to approach the tomb from the outside and try to gauge the size of the voids suggested so far by the interior scans. The equipment they plan to use is capable of probing some 40 metres into the ground. I imagine that Howard Carter would approve of the "softly, softly" process adopted the Ministry of Antiquities. It took Carter ten years to carefully document, conserve and clear the tomb of in the 1920s and early 1930s. His methodical record-keeping may seem fairly simple today, but in 1922 this was the most carefully recorded tomb excavation ever. Today, even with Carter's quite appalling handwriting, the details he captured are priceless, allowing Egyptologists to reconstruct the state of the tomb as Carter found it. The international team assembled to run the scans have a huge amount of data to pore over. The initial analysis of today's "anomalies" is due to be released in about a week, while the press conference bearing the results of the upcoming exterior radar scans is scheduled for Sunday 8th May. The latest issue of Nile Magazine contains the full back-story of the latest flurry of activity in Tutankhamun's tomb, along with the amazing photography that you've come to expect from Nile. 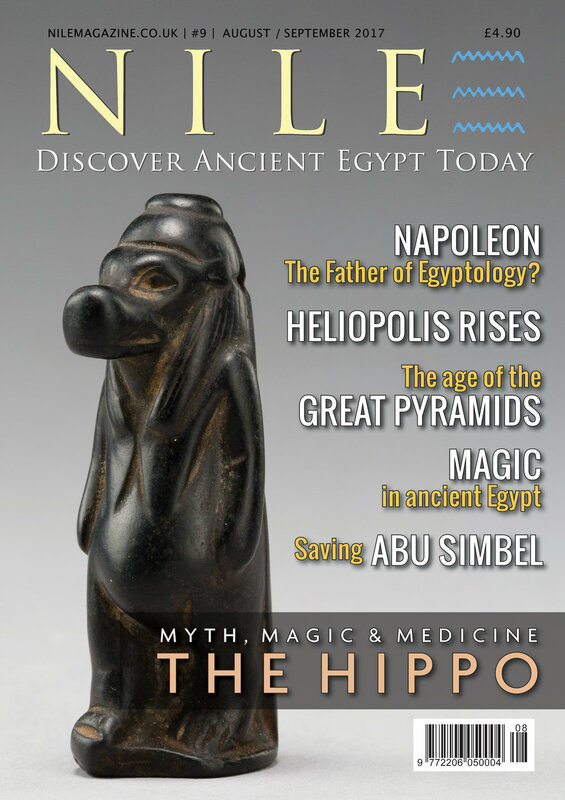 Subscribe to the print or digital editions via the Nile Store page at www.nilemagazine.co.uk.